This article covers how to open and where to find OneDrive for the Windows Desktop. In the bottom right of the screen, click the ^ carrot to view more taskbar icons. 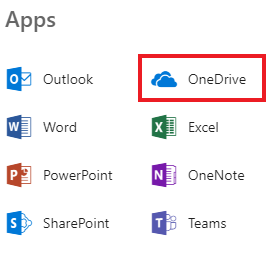 If the cloud is blue, you are already signed in and can skip to the "Finding OneDrive Documents" section. 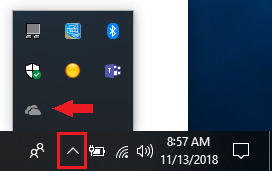 If there is no cloud icon, please continue to "Using the Application"
In the Windows search bar in the bottom left, type onedrive. Click on OneDrive in the results to open up the desktop application. If nothing happens, please continue to "Using the OneDrive Web Application". Go to StoutCloud available from logins.uwstout.edu. Click on the App Launcher to location OneDrive. 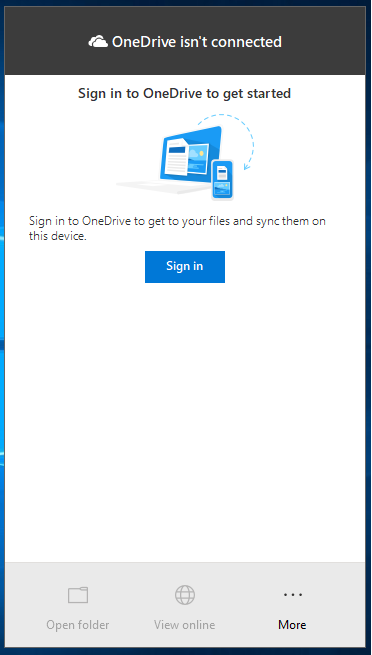 Log into the OneDrive web application. 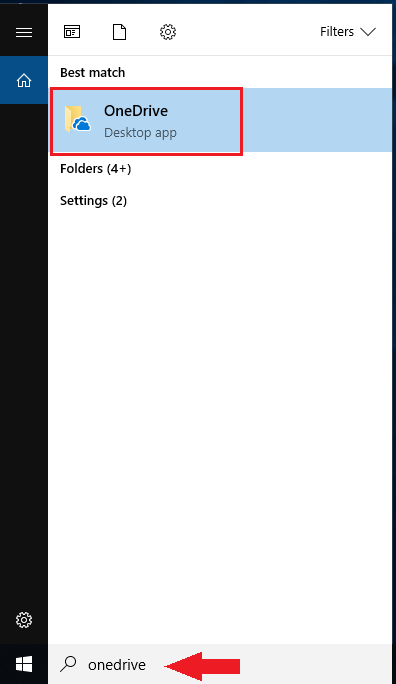 In the menu above your OneDrive documents, click Sync. This is the window that should open if you are not signed into OneDrive. Click Sign In. Enter your full Stout email address (@my.uwstout.edu for students and @uwstout.edu for faculty/staff). Most users will not have any need to change the OneDrive folder location. If you do, click Change Location. If you don't, select Next. Many computers hang at this window. Please just click the Next button. You can read the windows if you'd like or else click the right-arrow until you get to the very end and see this window. You can either close the window using the X in the top right or you can click Open My OneDrive Folder. Congratulations! You are now signed into OneDrive! Your OneDrive folder is available from the File Explorer as seen below. You can open it and view its contents just like any other local file. There is a very cool option in OneDrive Desktop that will sync and backup your Desktop, Documents, and Pictures with OneDrive. This is an automatic sync that only requires to a quick setup.